This funky arrangement is one of Florist on David's best sellers. Gerberas with a leaf and netting in a box. 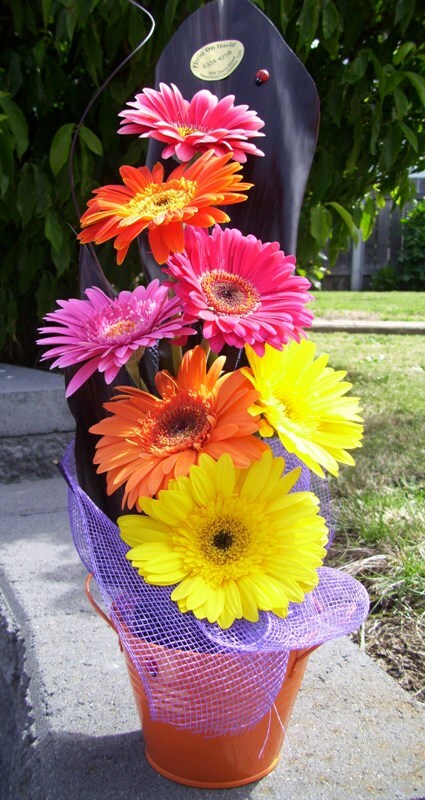 Gerberas are always in season and are long lasting flowers. Lots of other colour options are available. Suitable for all ages and all occasions. Glitter is also available as an option for the young at heart!